The country’s volatile construction industry is one of the factors being blamed for the skyrocketing cost of the seismic strengthening and refurbishment of the Wellington Town Hall. The historic building was declared earthquake prone in 2009 and Wellington City Council agreed it would need seismic strengthening. But then in July 2013 the city was hit by the Seddon earthquake, rocking the capital and damaging a number of buildings in the CBD with the town hall closed to the public. In 2017 the council prepared a proposal for seismic strengthening and refurbishment work to allow the council, the New Zealand Symphony Orchestra (NZSO) and Victoria University School of Music (VUW) to use the facilities. Preliminary estimates suggested the works could be carried out for total construction cost of $74 million, plus a contingency of $23.4 million. The design work for the upgrade was carried out in 2017 and early 2018. Following a public consultation process on the project as part of the council's 10 year Long Term Plan, it formally approved a $97.4 million budget for it last year. This included a total cost of $93.1 million and contingencies of $4.3 million. But now the cost of the project has increased to $112.4 million (excluding contingencies) and the council will be asked on February 27 to approve a further $19.3 million to cover the shortfall. A council report  on the project claims New Zealand’s volatile construction industry is partly to blame for the project’s spiralling costs. It says tight margins and rapidly rising costs have led to a number of well publicised construction industry failures in recent times. It claims the capital’s construction market is currently the most expensive in the country. It says that coupled with the fact there are very few companies that can carry out the seismic strengthening work involved meant the number of potential contractors who could take part in the tendering process was limited. But the fact the construction work doesn’t start until March or April must be raising some eyebrows. Naylor Love is expected to be appointed as the main construction contractor next month after winning the tendering process and work on the project is scheduled to start in late March or early April. The report also says cost estimates changed during the design stage after the condition of both the building and the ground it was built on were established. But the Wellington Chamber of Commerce  says the council needs to decide where the Town Hall fits into its venues strategy before committing any more ratepayers’ money to the cost of strengthening it. And Milford says how much it will end up costing is anyone’s guess. "We live in an earthquake zone and we can’t preserve everything. We have to make hard choices, and this is one of them. The public purse only stretches so far. It would be easy to simply say ‘go ahead’, because it is a great building, but ratepayers do need to see what sort of return and benefit they might get from such a big investment. "Spending that sort of money to re-develop a facility that will have a pretty narrow use does raise questions." He says while it’s nice to restore such an historic building it’s important that the council’s business case for the project stacks up. 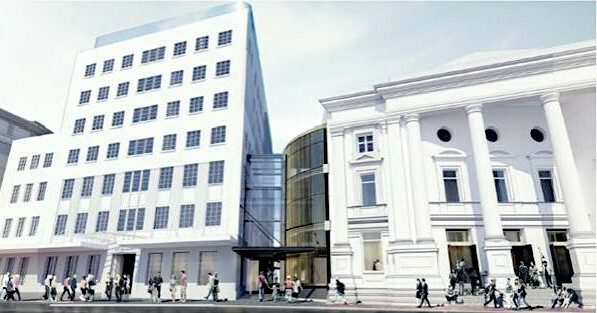 The Wellington Town Hall work is expected to be completed in 2023. Wellington Mayor Justin Lester was unavailable for comment.